The fact that this place always looks like it may have started on another planet never escapes me, and now I may have some insight into why. But first I’d like to share a few photos from last Sunday, just as the rain was stopping. 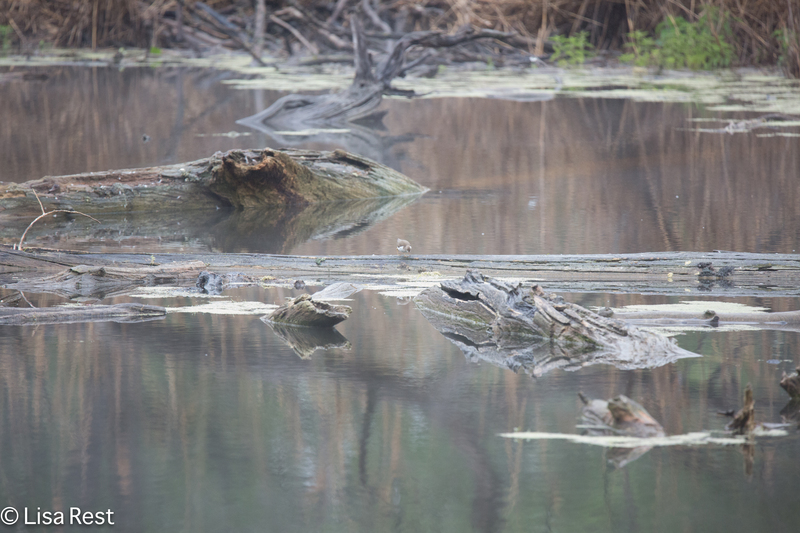 I managed to count 40 species, some of which I never saw but recognized by their vocalizations. 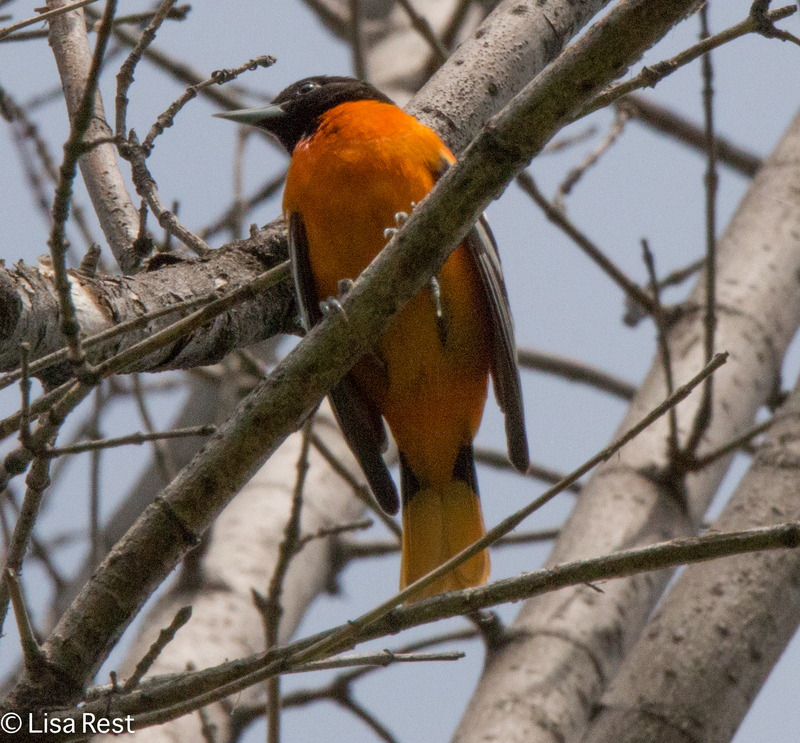 So spring migration, in spite of whatever weather challenges the birds face, goes on regardless. 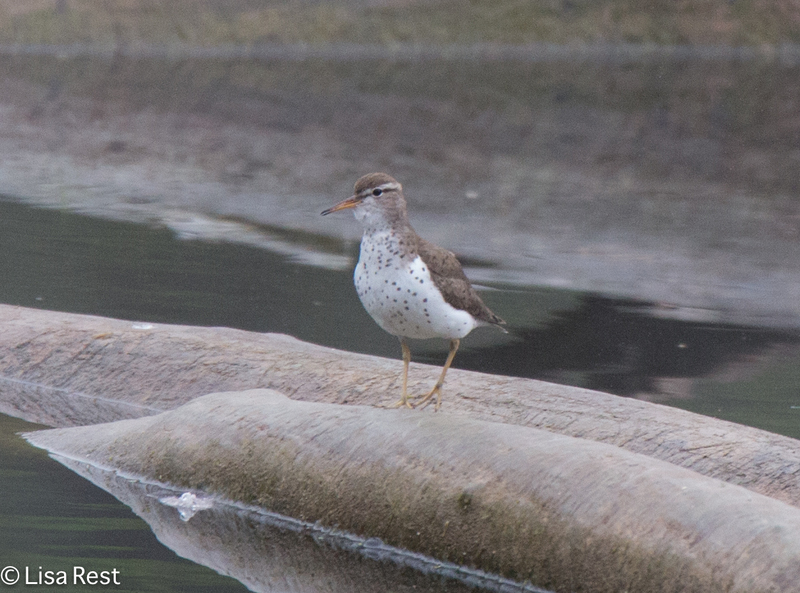 My first bird willing to pose was this Spotted Sandpiper. I can’t recall ever seeing one so true to its name. Later I encountered two other common shorebird species, the Killdeer and Solitary Sandpipers below. 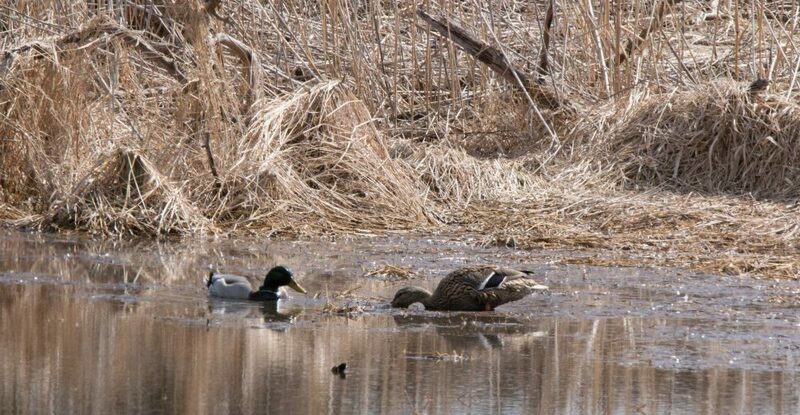 Waterfowl was present but not much worthy of a photo except for a solitary Blue-Winged Teal. 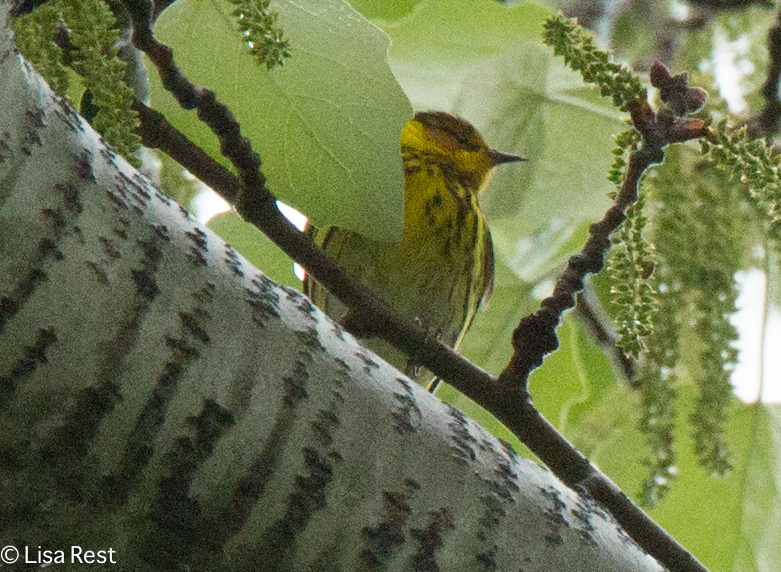 The only warblers willing to engage with the camera were Yellow-Rumped and Black-Throated Green Warblers. All the warblers I saw were in the same tree. I had a Blackburnian Warbler which is always a treat, but the poor light just wouldn’t do him justice. Still here’s the Blackburnian on the left and a Palm Warbler on the right. 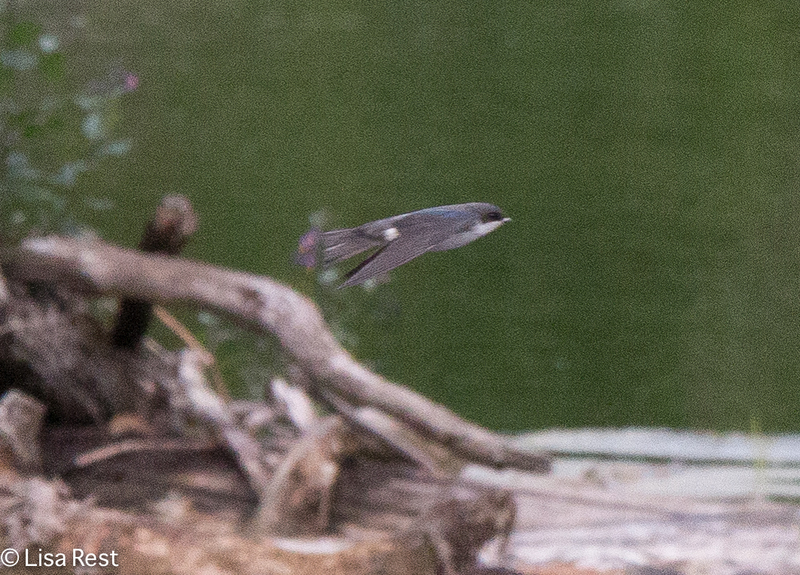 And for a blue-gray day, a Blue-Gray Gnatcatcher. Below is a Brown Thrasher who was singing enthusiastically. I neglected to take my recorder with me but shot the video beneath his picture which recorded some of his song. This is a mimid species, which means he imitates other calls and recites them, singing each call twice. Toward the end of the video a Red-Winged Blackbird sings. So I have to hand it to the woodpeckers for keeping things lively. 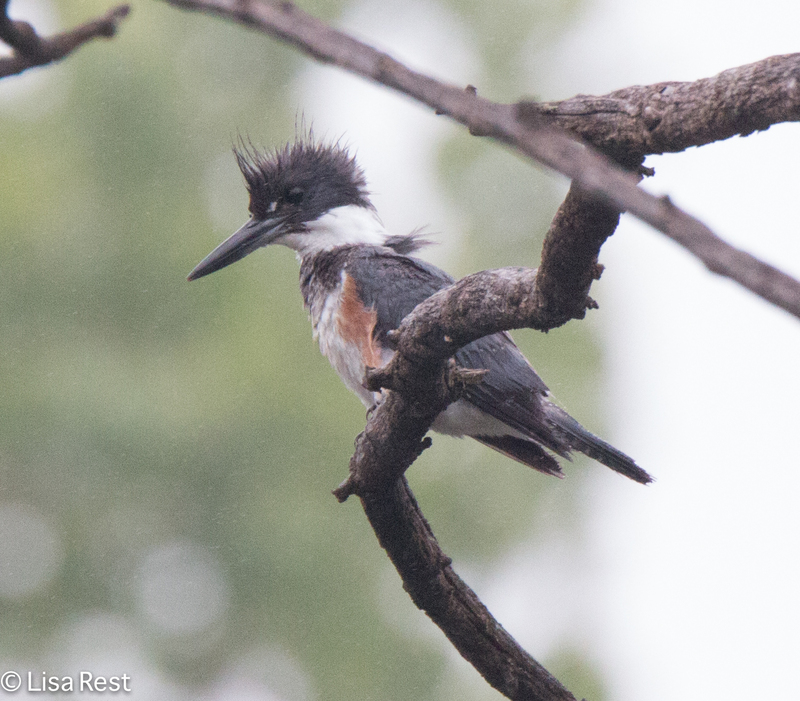 I was a bit surprised to see a male Belted Kingfisher land and sit still. And this Red-Tailed Hawk became a bit annoyed with me when I noticed him sitting very still and trying to blend in with the tree. Close to the end of my outing I found the female Scarlet Tanager below. But now for the surprise. As I was almost leaving, a cyclist stopped on the bridge where I stood to talk about the Portage. He said he had been visiting this place for 40 years. He didn’t look a day over 52 so I guess he’s been visiting since he was a youngster. Anyway, he told me years ago companies were dumping chemicals here and the water turned numerous bright colors. 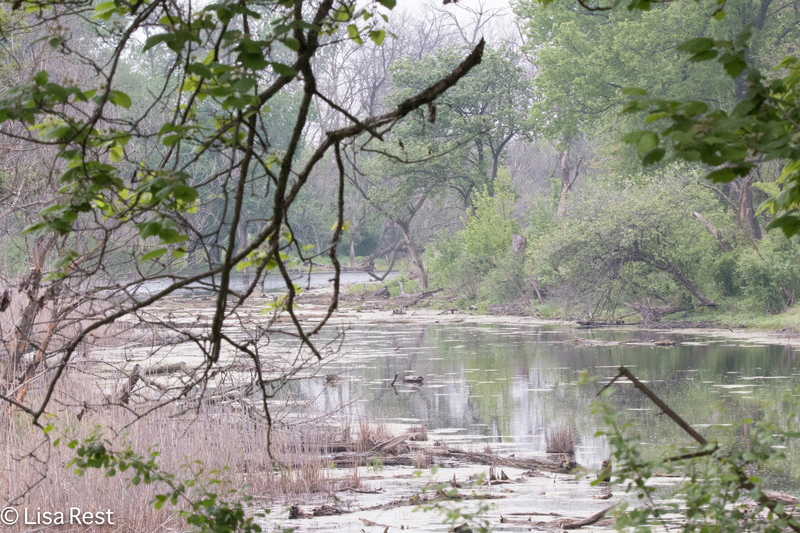 He also said he had talked to some of the Cook County foresters who were removing trees and they told him they had never seen such strange decay in some of the trunks. I tried to find some documentation about what he told me but so far I have been unable to find anything specific to the Chicago Portage. I suspect the Environmental Protection Agency postdates the dumping, of course. This explains a lot to me about this strange little oasis in development. It’s sad, but then it’s also encouraging to see how nature rebounds, I guess. It remains to be seen what the county’s plans are for this place. The cyclist also mentioned something about a commuter train going all the way to Joliet running along I-55 and a transportation hub at Harlem. Just a stone’s throw from the Portage. I can wait. 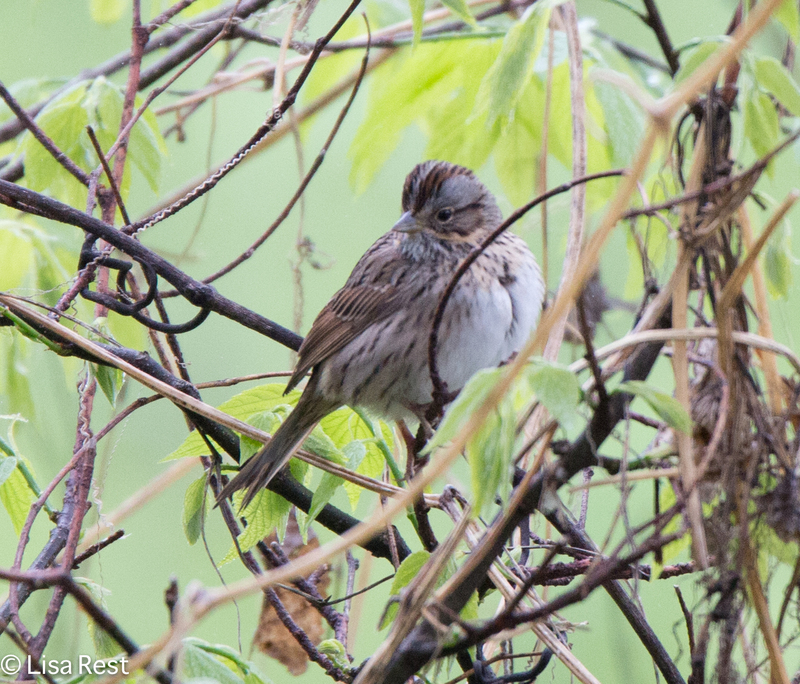 Back on the 10th of May I was at the Chicago Portage and counted 52 species. 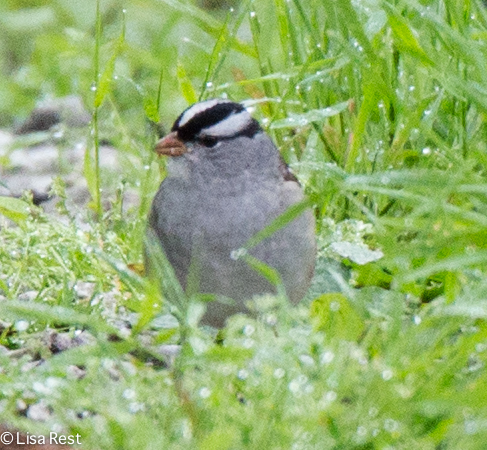 On the 17th of May, visiting with two friends, we counted 35 species. This afternoon, after gale winds in the morning and some rain, I went over to see what was up and counted 29 species. 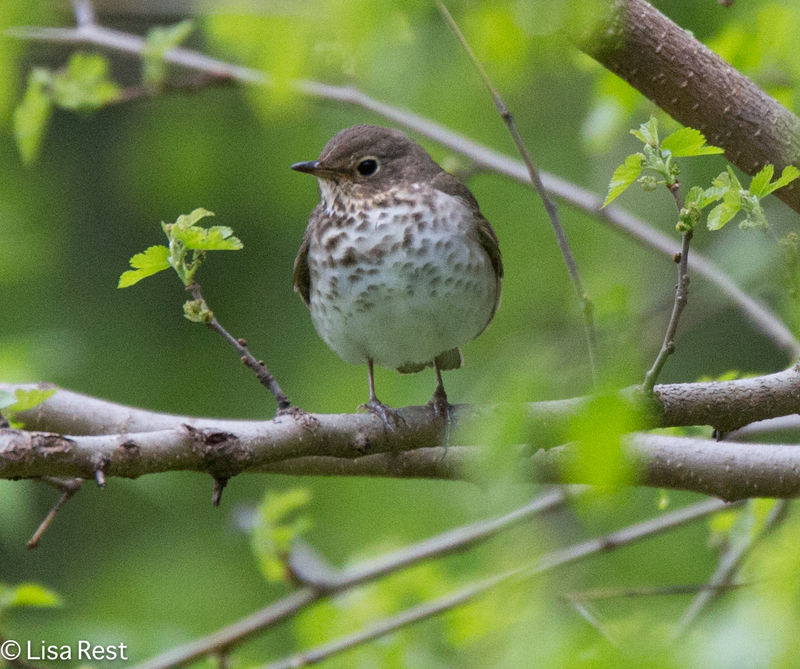 Three weeks ago was the height of spring migration, and already by last weekend it was slowing down. 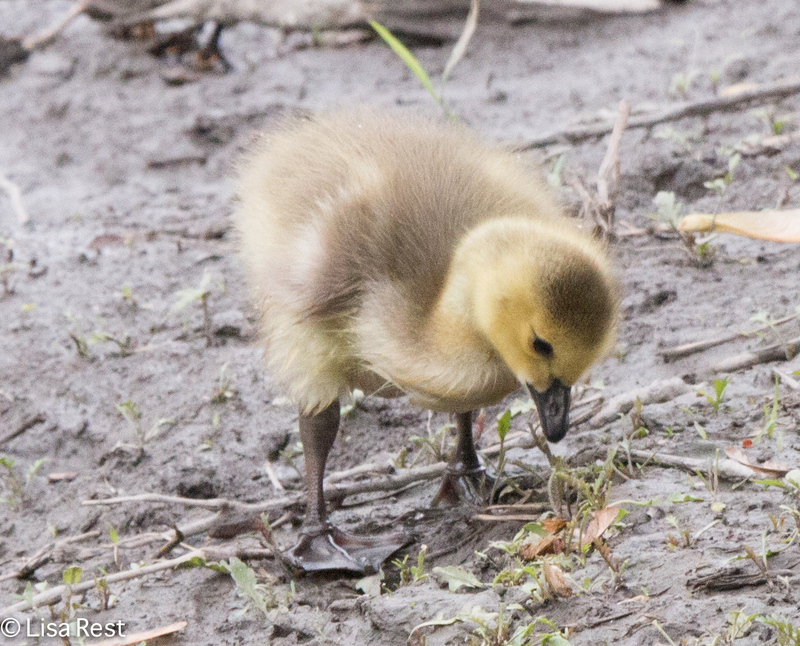 Last week the goose family had dwindled to four goslings and today I was told by a woman I talked to on the trail that they were down to three. I did run into the geese today, but they were foraging in the grasses and I did not want to bother them, as they were pretty well hidden. So I am taking her word for it. 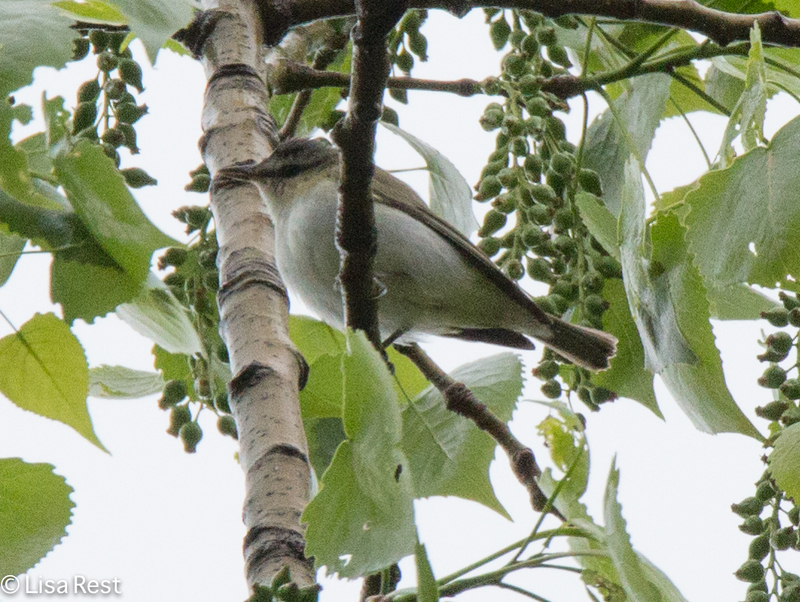 The Red-Eyed Vireos are still present and singing, so they probably breed here, but all the thrushes except for American Robin have left, and the sparrow species as well. 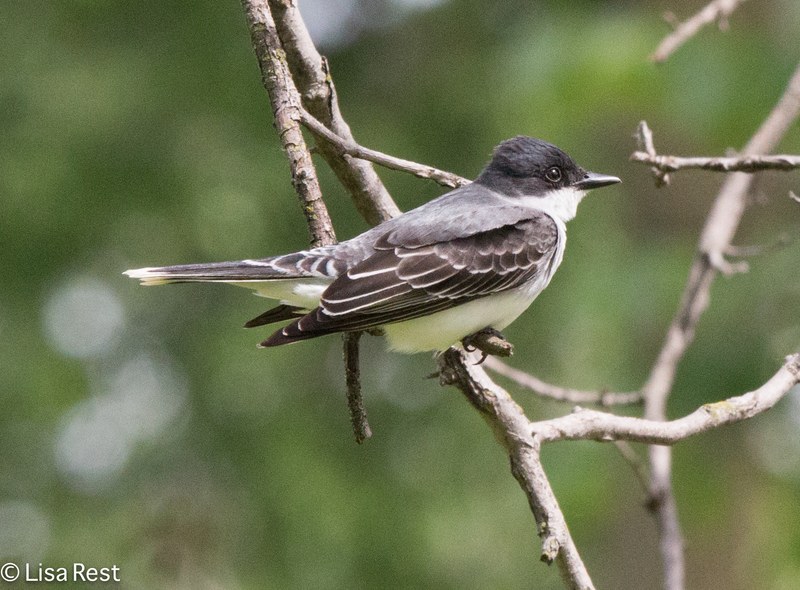 There was quite an influx of Veerys this year, I don’t usually see them. 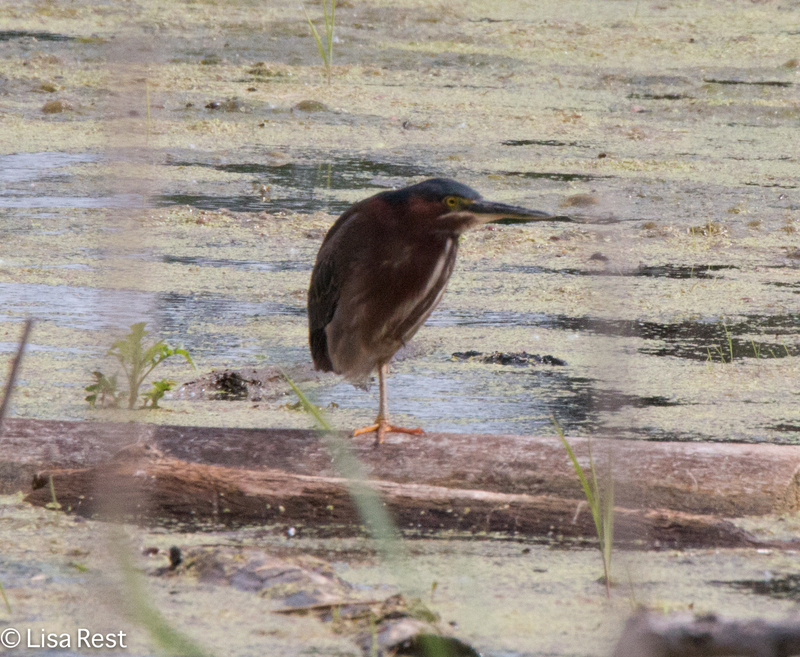 But as the last of the sparrows were getting ready to leave, the Green Herons were returning. I believe there are two although I have not yet seen them both on the same visit. 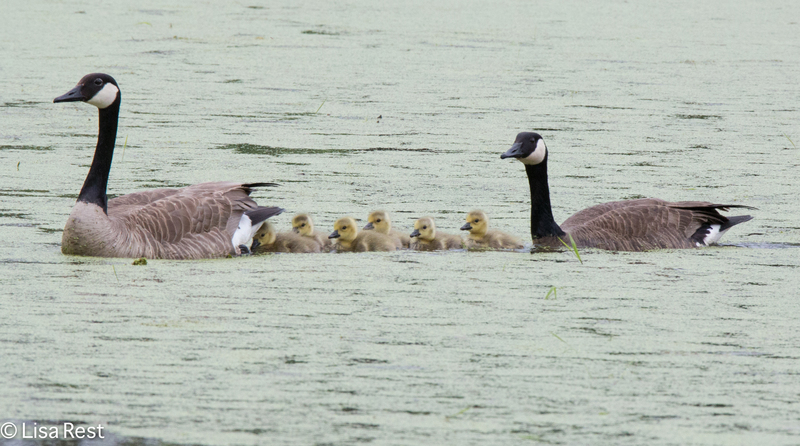 I think they also hang out at Ottawa Trail Woods which is also where we went last weekend. 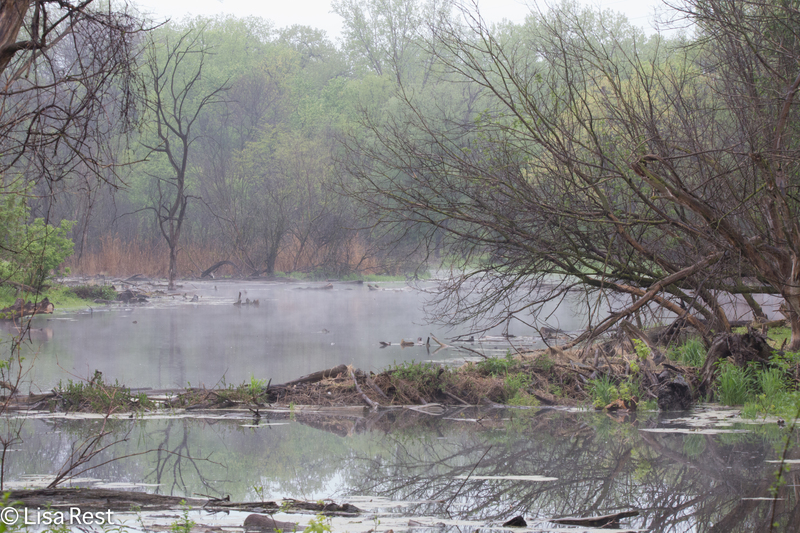 I have included a few pictures here are from Ottawa Trail Woods, as it is basically part of the same ecosystem. 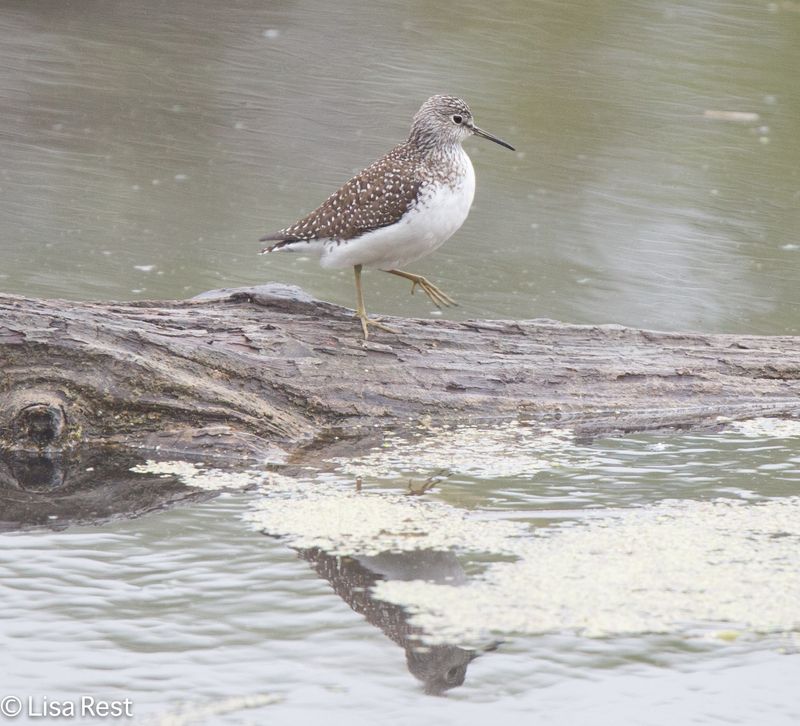 On the 10th I saw both Spotted and Solitary Sandpipers, not on sandbars or mudflats but on dead wood in the water. The water levels were a bit lower though. I have not seen or heard any shorebirds since. 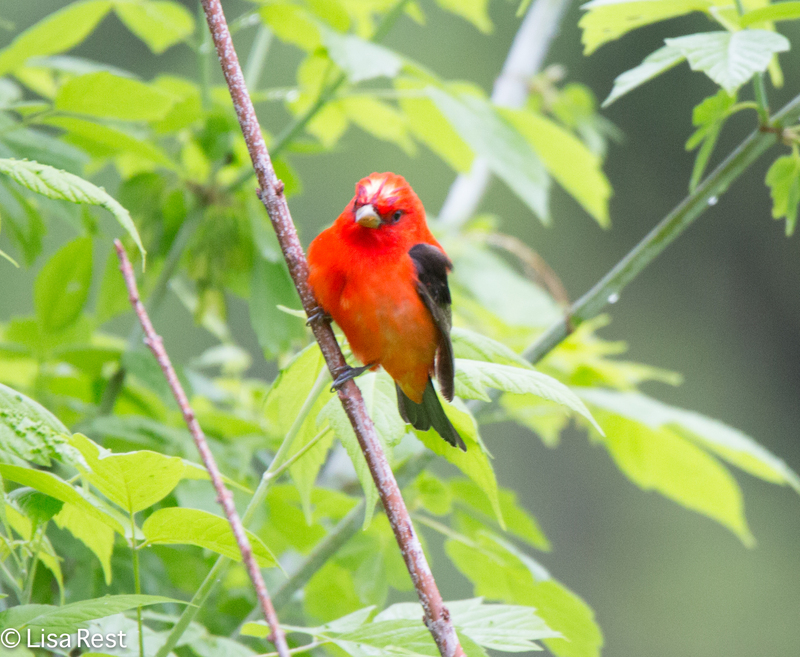 The Scarlet Tanager above basically flew down and sat right in front of me. I was so surprised I barely got his photograph. 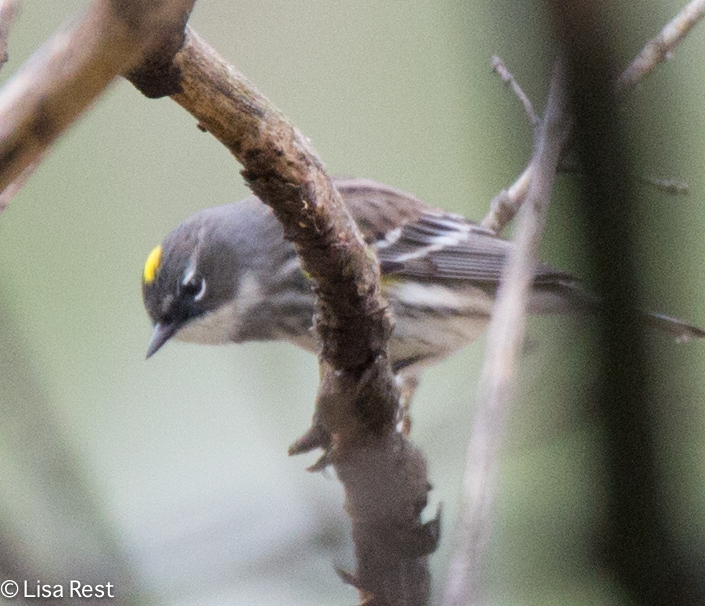 The only warblers willing to pose were the most common ones. 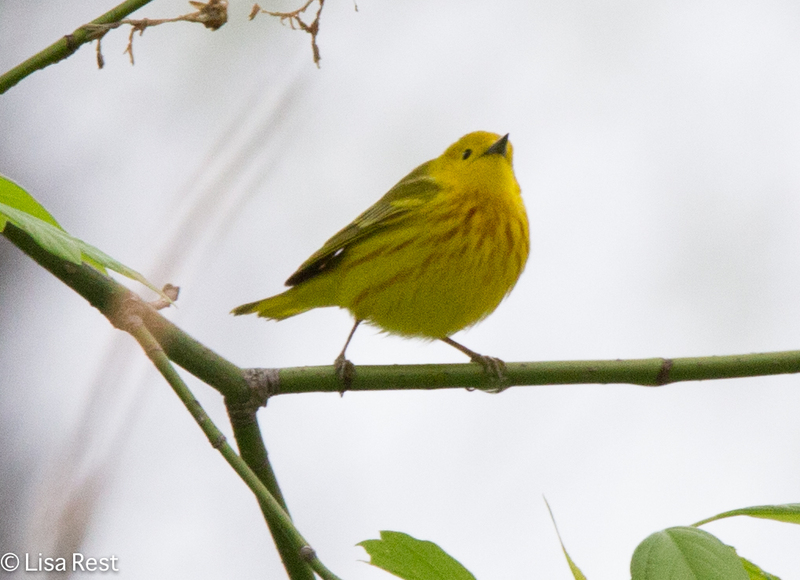 The Yellow-Rumped Warblers are gone, but the Yellow Warblers stay for the summer. 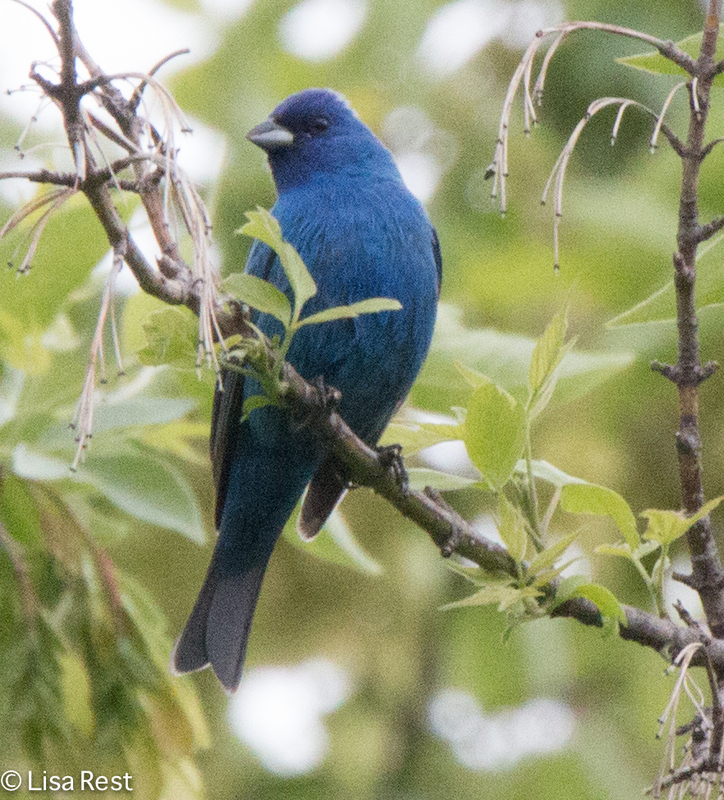 Indigo Buntings are everywhere. 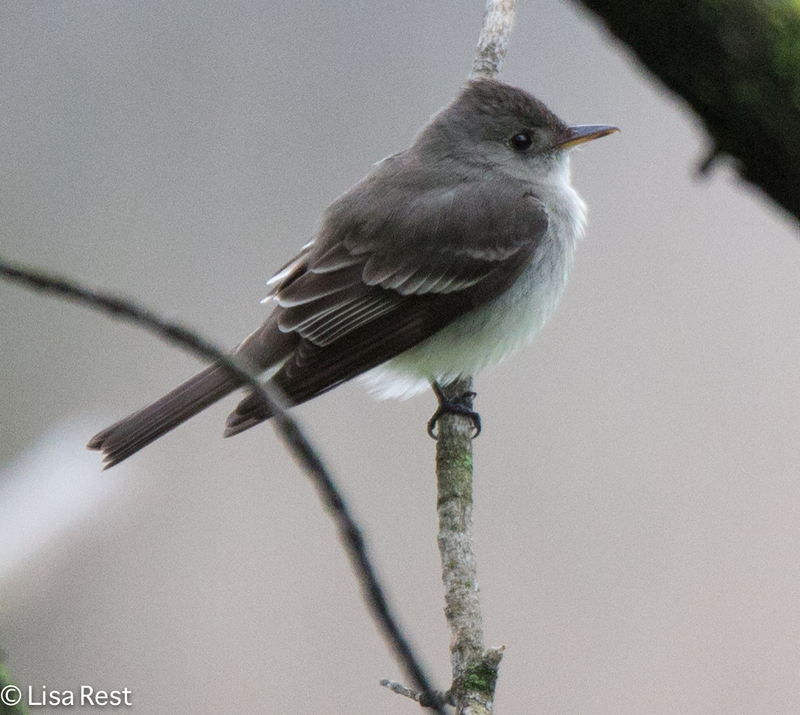 I have not seen the females yet but the Portage has at least four males singing on territory. 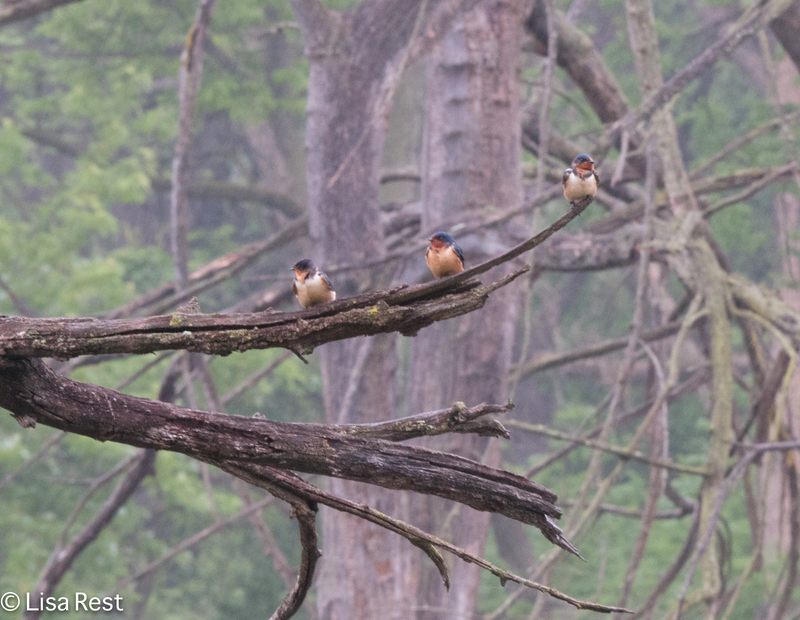 I have also seen many Barn Swallows, Tree Swallows and Northern Rough-Winged Swallows. 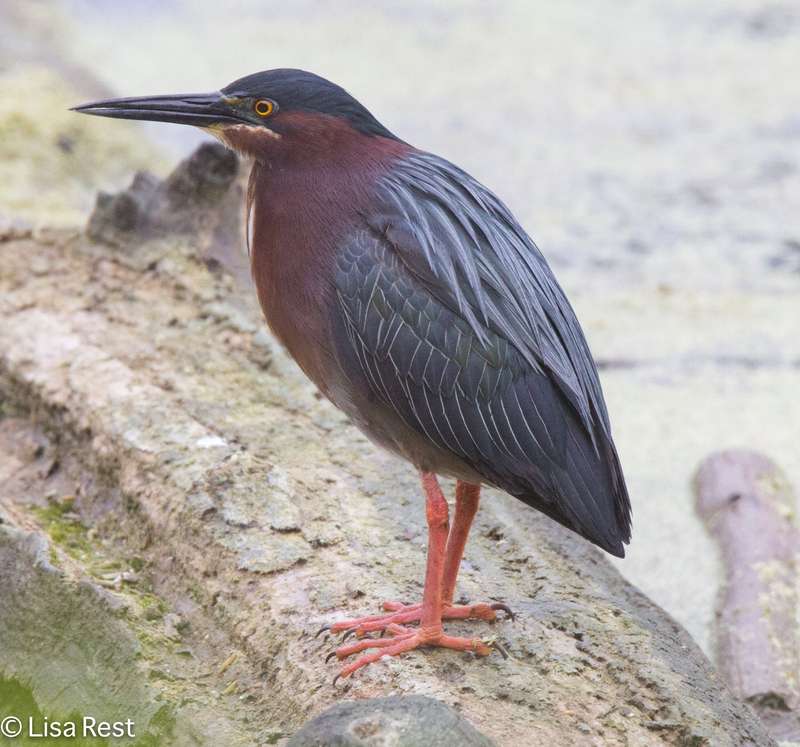 Green Heron, 5-25-15 – Not as visible today as three weeks ago. 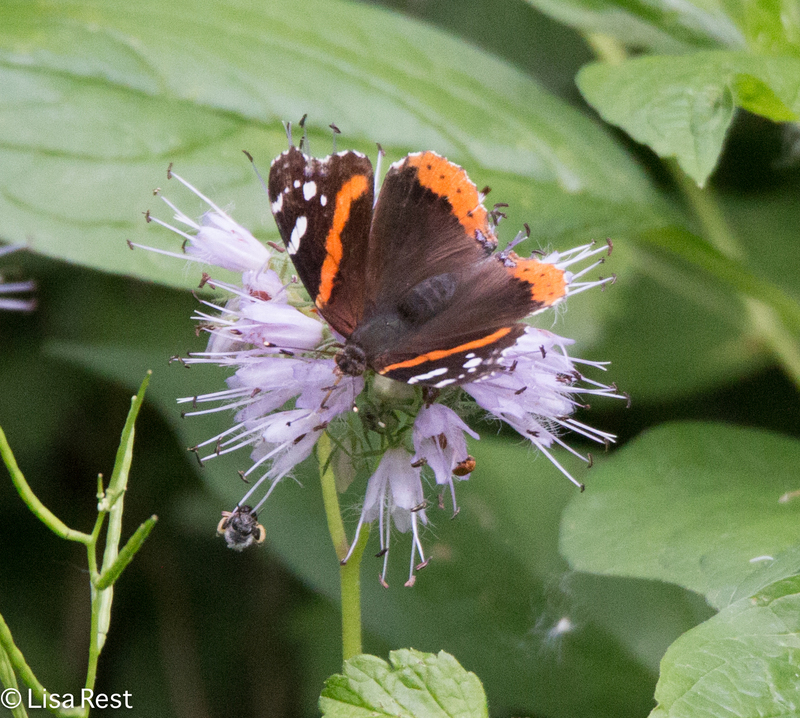 Red Admiral on a wildflower I have yet to identify – I should know it! But I have never seen it at the Portage before. Is this some kind of monarda? I included the butterfly picture because to me it signals the end of spring migration and the beginning of summer, when butterflies and dragonflies vie for my attention. 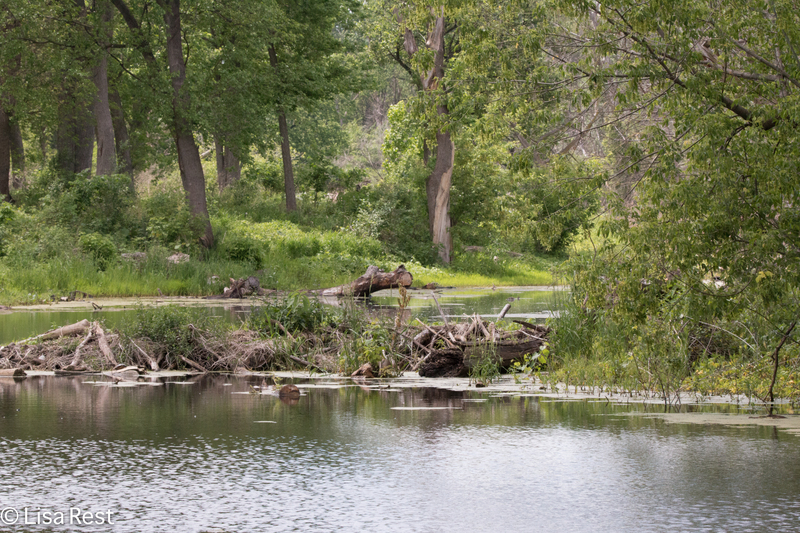 I didn’t see any ducks today at the Portage. 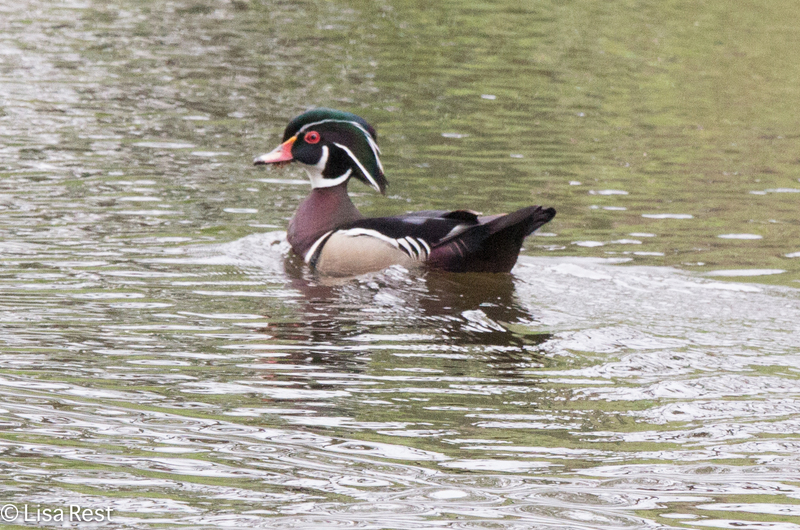 In years past there have always been a breeding pair of Wood Ducks, so I hope they are busy nesting. 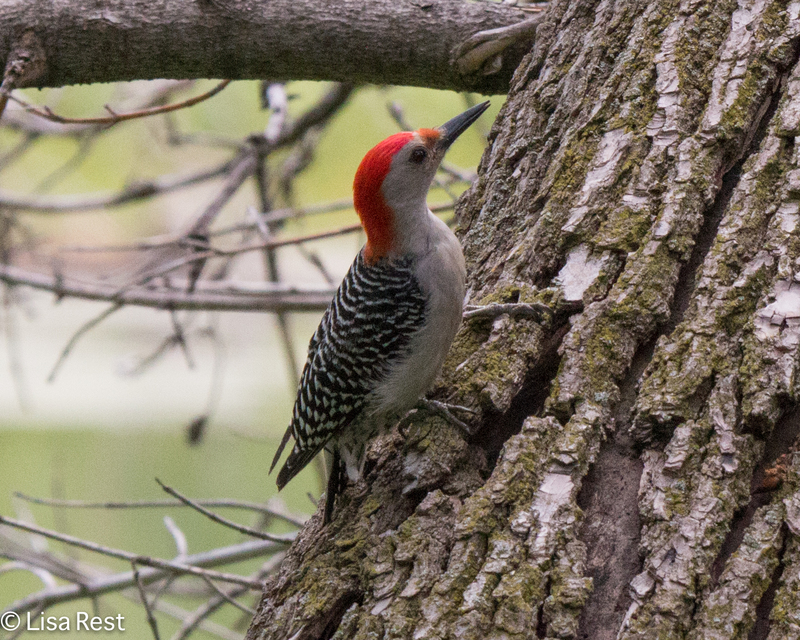 I hope to be back soon with a short report on birds in Berwyn. I just saw a Ruby-Throated Hummingbird at my hummingbird feeders this evening, which gave me the perfect reason to clean and refill the feeders. While I was out in my yard my neighbor appeared and told me he saw the hummer yesterday! Maybe I’ll get a picture this year before September.